The novelty of bubble masks is still going strong, even though some of us have already moved on to glitter masks. But glitter is a nightmare in disguise, which is why we are going to stick to bubble masks for a little while longer. Mamonde, a Korean beauty brand where every single product is powered by florals, has recently brought their rose-inspired range of skincare. Because it reminded us so much of fresh’s rose range but at a fraction of their cost, Mamonde certainly caught our attention. Mamonde’s skincare is also designed for Asian skin, meaning that their formulas and products are more lightweight. Yay, Mamonde! Amongst the masks was the Petal Purifying Bubble Mask that was made for those who need a quick fix. We don’t always have the time to wait 10 to 20 minutes for a face mask to work its magic (especially when we’re almost always running late), so when we heard that this mask only takes one minute, we were sold. A one-minute wash off mask that is formulated with rose petals. The rose mask has a comforting fragrance, and it also promises to infuse your skin with all the good properties that roses are known to have. 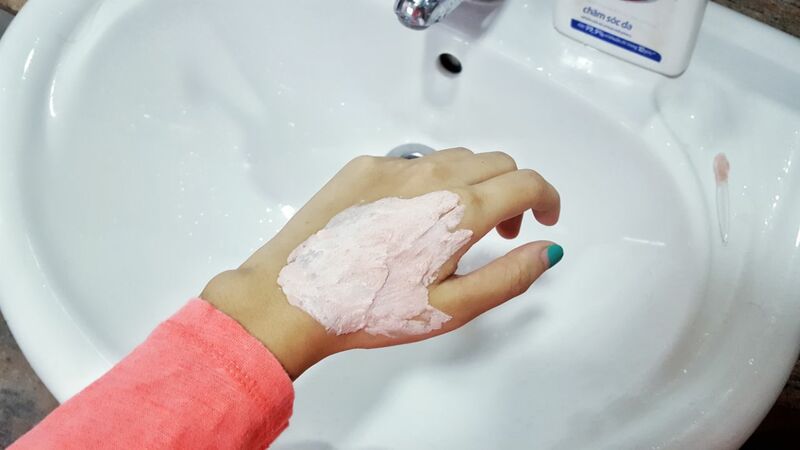 The mask includes real rose petals, and helps to moisturise your skin whilst keeping it clear and smooth with all the antioxidants it contains. 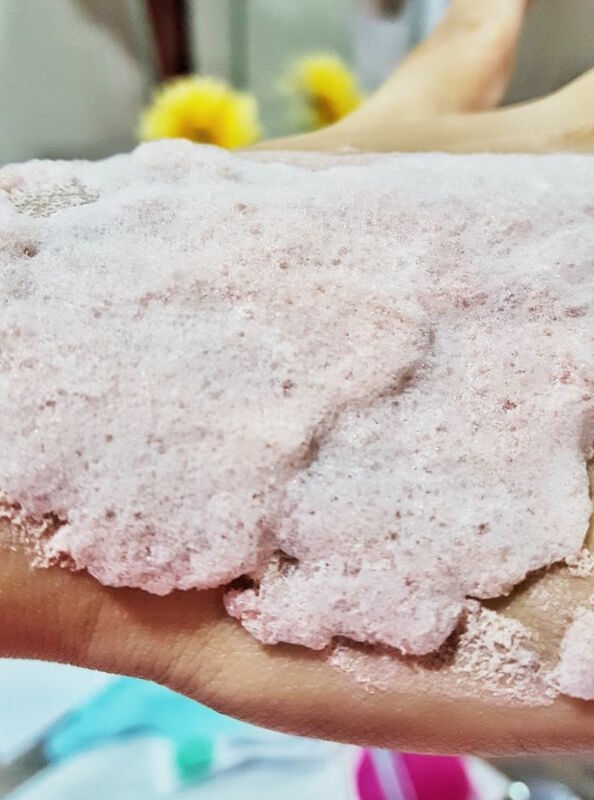 Once applied, the mask will start reacting with the oxygen in the air, resulting in soft little micro bubbles similar to the bubble foam you get when you lather soap. You can hear and feel the little bubbling on your skin, but it’s not uncomfortable or anything. The bubbles helps to purify your skin by drawing out the impurities in your skin for a clear complexion. Apply the mask evenly onto your face while avoiding the eye area, and ensure that your face is covered with a generous layer of product.After a minute, rinse your face and you’ll be all good to go. Remember to not leave it on for too long as it can dry out your face! The layer of foam is also an indicator – if you don’t really see much bubbles, you might not have applied a thick enough layer. After a single use, my skin instantly felt cleaner and slightly brighter. My skin was also smooth to the touch, and there was just a faint hint of roses which disappears pretty quickly. Surprisingly, the mask was not harsh on the skin at all (I was expecting something more powerful to the effects of those deep cleansing masks), and made me feel squeaky clean and more awake to start the day. While I was at boutique, the makeup artist said that it was okay to use the mask as part of your daily morning routine, so I tried exactly that for one entire week, whether it made me late for work or not (it did not affect my normal arrival schedule at work at all). The best part about this mask was that it is PERFECT for lazy people like me who hate spending too much time on a beauty routine. I only had to wait one quick minute, which I could easily use to brush my teeth or pick out my clothes. Even my kettle takes longer to boil my water for my morning coffee. Using the mask as part of my daily morning routine did make my skin feel more moisturised, and my face didn’t feel too dry from sitting around in an aircon room all day. That being said, I don’t apply anything to my face after cleansing it at night so this extra boost of hydration could have just been exactly what my skin needed. Yes. I used to think that bubbles masks were pure novelty, but the foam feels like it actually contributed in prepping my skin for the day. Also, the mask is pretty affordable and you can use it as much as you want without having to ration it out. Mamonde’s Petal Purifying Bubble Mask, $28, is now available at Mamonde boutiques and counters.